WASHINGTON STATE’S RESPECT FOR THE LAW. SIGN THE PETITION NOW! This measure would require state and local agencies to cooperate in enforcing federal immigration laws and would require verifying immigration status of persons seeking employment, receiving driver’s licenses, and receiving some public benefits. And revoke business licenses to those employers who knowingly hire illegal aliens! Veterans of The American Legion and others are hailing what they call a major victory with national ramifications in the legal battle over the Mount Soledad National Veterans Memorial in San Diego. U.S. District Court Judge Larry A. Burns issued a long-awaited decision Tuesday (July 29, 2008) ruling that the Mt. Soledad National Veterans Memorial is constitutionally sound, meets all the guidelines set out by the U.S. Supreme Court in the Ten Commandments case of Van Orden vs. Perry, and does not violate the Establishment of Religion Clause as contended by The American Civil Liberties Union (ACLU), which has backed eighteen years of litigation by atheist plaintiffs to destroy the memorial because it contains a cross. The Portland illegal alien day labor center, the PINKO Detention Center, is illegal. As reported in the Portland Tribune recently we find that, even by the limited criteria set by the City and its proxy, Voz, it’s a failure. Taxpayer dollars are being used for this illegal activity. It must stop. You may not have the wherewithal to file a lawsuit, as Tom Wenning did, or go out and take pictures of employers and employees at the center as many of us have done. But you can do something. Please read our proclamation and send a note, giving us some identifying information, such as name and address, to take to the Rainbow City Council and demand they stop this criminal enterprise. This is just one of the several things we’re undertaking to put a stop to this. On June 16, 2008, the City of Portland opened a day labor center for use by people who are illegally in the United States. The city has contracted with its proxy, The Voz Workerʼs Rights Education Project, to operate the center with $200,000.00 of taxpayer funds. We call on the City of Portland to cease using taxpayer funds in this illegal enterprise and further call on the City to cease its aiding and abetting people who broke the law to get into and stay in this country and in the City of Portland. B HO’s Prayer Note At The Wall Just A Cheap Campaign Stunt? We recall the fuss made over Obama’s pre-dawn trip to the Western Wall in Israel last week, leaving his “personal and private” prayer note. We also recall how the Wall was festooned with campaign signs, cheapening his humble offering. Many exressed outrage and criticism when that note mysteriously showed up in an Israeli newspaper. Another daily paper, Yediot Aharonot, says they too received a copy of the “personal and private prayer note,” but declined to publish it. If what these papers claim is true, it would appear the messiah in waiting is little more than just another cheap politician using anything holy to grab a few votes. Could it be he would pull a stunt like this to deflect criticism of his being a Muslim in secret? Or, could it be to distance himself further from Black Liberation Theologian, Reverent Jeremiah Wright? You’re too stupid to figure out that something has a lot of calories in it, that’s why Multnomah County plans to do the calorie counting for you. Here.Here. By the way, have you guys opened Wapato, yet? 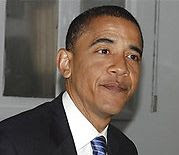 Since it is the Middle East Obama seems to think he alone can fix and his desire to sit down with Middle Eastern leaders to “work things out,” how will that go over when Middle Easterners see his ‘Rock Tour’ more as “Tripe” than a trip? Amazing that Middle Easterners can see the empty shirt, but so many Americas can’t. Obama’s trip … tripping or tripe? Do You Really Want to Rear Your Child in a Socialist Society? For those who think Socialism is the answer, The following is a Term paper written by a young Vietnamese woman now married to one of the Pilot’s I served in Viet Nam with. Lily was born after American involvement ended in Viet Nam and the Communist takeover. She is enrolled in a Business Law Course and the Term paper was for that class. I was born and reared in a Socialist Society. Here is my personal testimony as to how good, or bad, I turned out. I turned out great! I would never cheat, or steal, or mislead anyone. I enjoy hard work, and my goals for my life are very lofty. I know that I will succeed in reaching my goals, and that my life will truly amount to something. Considering that I was born in Vietnam and lived under socialist rule for the first 20 years of my life. (Furthermore, I lived in a very poor environment, reared by an uneducated single mother. We lived on the side of a tall mountain which, beginning at the age of nine, I climbed each night two and three times to pick up loose coal that had fallen from the coal trucks, then carry two buckets full down to the town below to be sold on the black market. This is how my mother, my grandmother, and my aunt survived. Just after I was born in the mid 1980’s and during the 1990, Vietnam was bankrupt. There was little or no food available to buy with the small amounts of money my mother, grandmother, and aunt made carrying coal). I seem to have turned out quite well. Looking at my life one may think that rearing a child in a socialist society must have some very good advantages, after all, how did I turn out so healthy, happy, and moving towards a successful future? The answer is that things are not always what they appear to be. It is true that I am healthy, happy, and moving towards a successful future, but this is despite of my socialist society upbringing and not because of it.